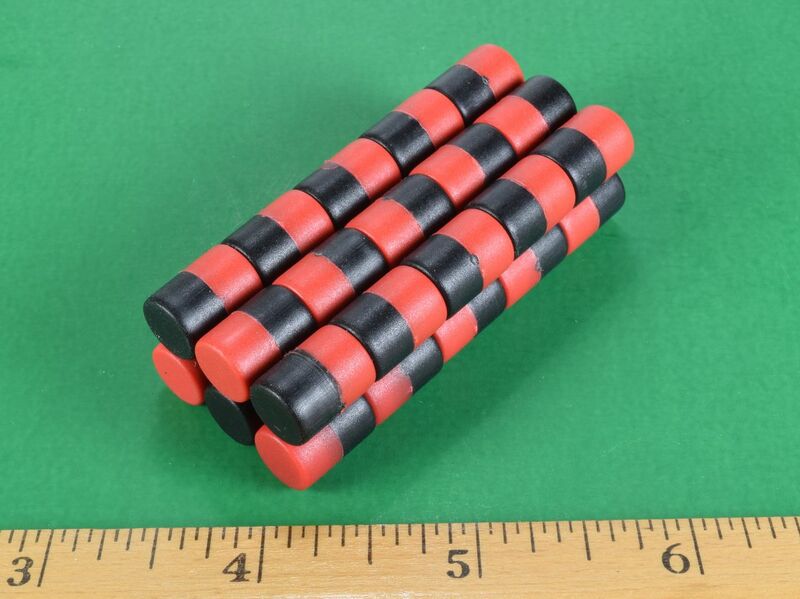 These amazing little magnets are coated with a durable layer of two-tone plastic. This dual-color plastic coating is designed to make it easy to identify the poles. 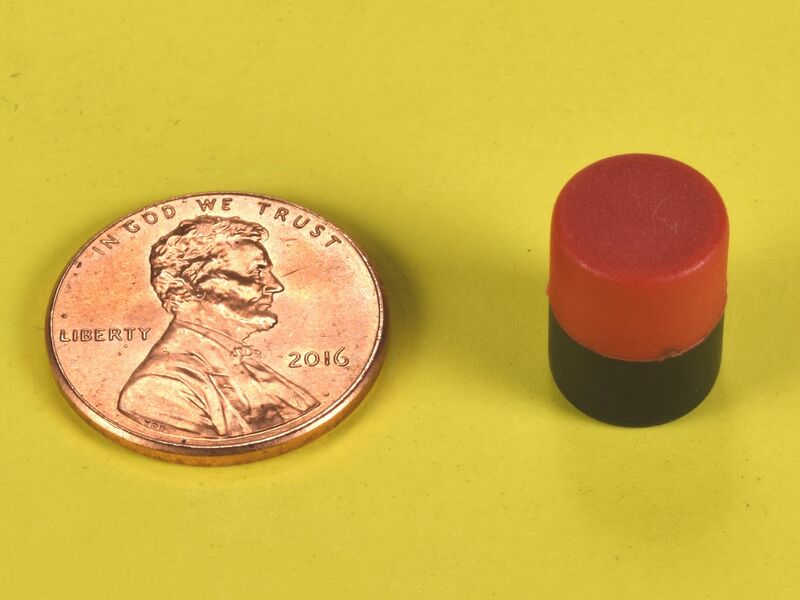 The red half is the North side of the magnet. The black half is the South side of the magnet. 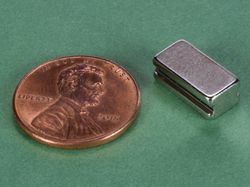 Use them to identify the poles of another magnet, on magnetic whiteboards to signify complete/incomplete projects, in the classroom or for science projects. They are also great for the budding magnet enthusiast. 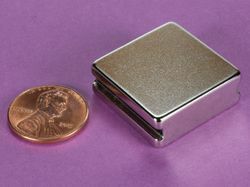 The 3/8" x 1/2" dimensions are the finished dimensions of the plastic coating. Snap them together many times without damage. They won't mark or scratch surfaces they come in contact with and are completely weatherproof. The perfect magnet? We like to think so! Looking for this color combo in a different shape? Try our P/N D84PC-RB. For more info on determining the poles of a magnet read our blog article Which Pole Is North?